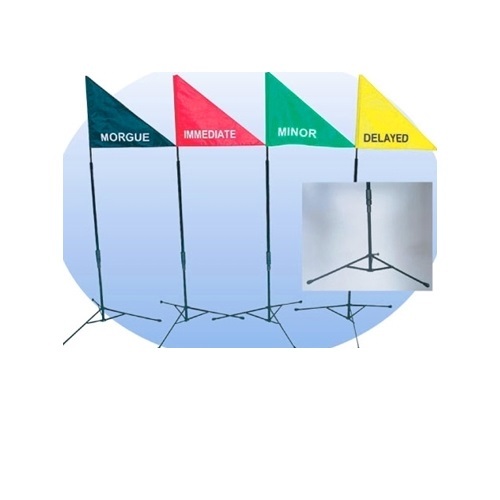 Triage Area Flags – Set of 4 color-coded flags, each comes with folding pole and support base stand. 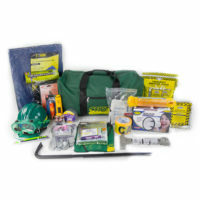 Great for disaster response, training exercises, school safety drills and more! Triage Area Flags with poles and support stands – Set of four. 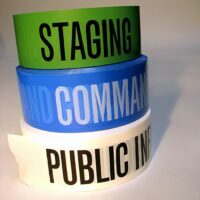 Triage Flags set includes one flag in each of the four triage colors – Green, Yellow, Red, Black – along with pole and support base for each. Stand-up triage treatment area indicator flags are great when used with color-coded triage tarps and pop-up tent canopies to easily identify designated areas for treatment of injured patients. Support poles fold for easy storage, extend to 84″. 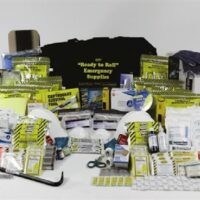 Great for disaster response and disaster training drills, used by schools, CERT teams, search and rescue workers, fire department safety training. 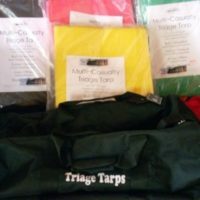 Triage tarps , easy-up triage canopy, and triage ribbon tape are available separately.